The unthinkable has happened, Rio Yañez is turning 30! Come celebrate his Birthday this Saturday, January 9th! There will be plenty of art on display, good food to eat, and Beatles Rock Band to play. 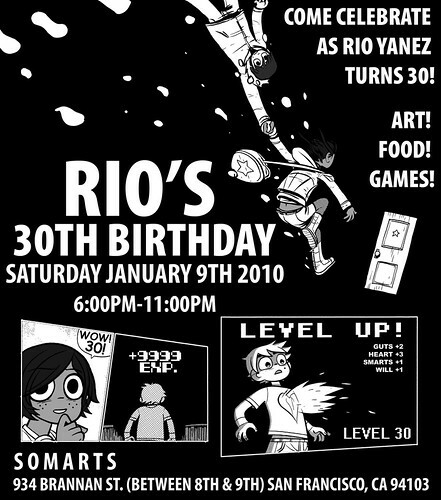 Since Rio is desperate to cling to his youth, he is making his party a Scott Pilgrim themed birthday celebration. 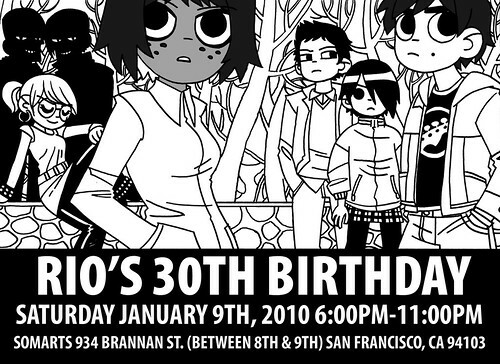 Please come dressed as your favorite Scott Pilgrim character. For More on Scott Pilgrim check out my old posts HERE and HERE.